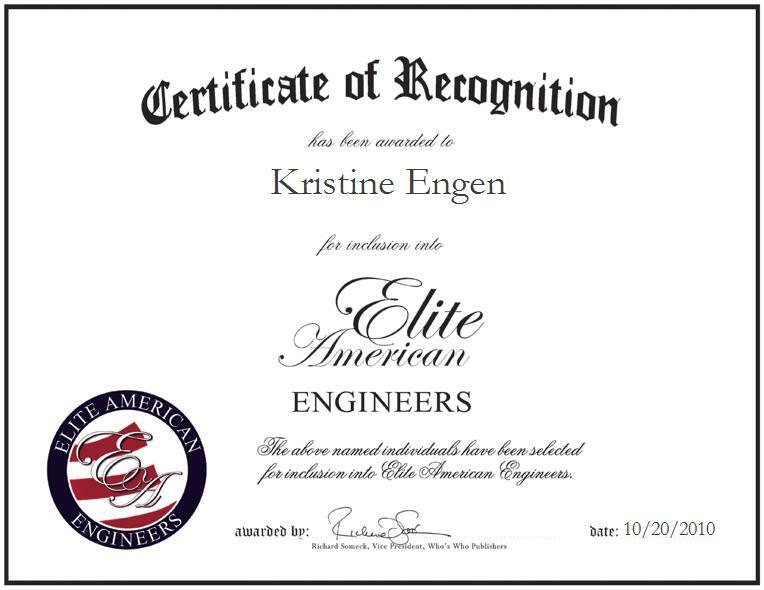 Colorado Springs, Colorado | October 20, 2010 | Kristine Engen, a Test Engineer at ITT Corporation, has been recognized by Elite American Engineers for her dedication, knowledge, and leadership in the high-technology engineering industry. Ms. Engen supports the systems division that provides a broad range of systems integration, engineering and technical support solutions including command and control system, satellite communications, tactical warning, attack assessment and space launch services. The systems division provides total systems solutions for combat equipment, tactical information systems and facilities for the United States military and its allies in North and South America, Europe, Africa, and Southwest Asia. As an expert in software and hardware analysis, Ms. Engen ensures legacy and modern systems meet customer requirements and expectations. She sells systems to customers through requirement based testing, reviews requirements for testability, creates system level test plans and procedures, ensures reviewed design meets identified requirements, and validates the requirements with customers. 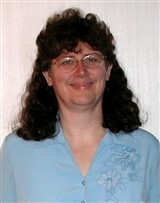 Ms. Engen has been honored with an Interactive Media Award (IMA) and is a Certified Software Tester. During her free time enjoys reading, watching science fiction and fantasy videos, and collects swords. She earned her Bachelor’s in Management Information Systems and her Master’s in Computer Science with a concentration in Software Engineering from Colorado Technical University. Attributing her success thus far to her ability to understand systems, her attention to detail, and the support she receives from her colleagues, Ms. Engen hopes to one day expand the current test team and supervise a greater number of people. Throughout her career her greatest highlight was working on a project which involved replacing legacy platter hard drives and 9-track tape drives with modern removable hard drives and digital audio tapes. ITT Corporation specializes in water and fluid management, global defense and security, and motion and flow control. For more information, visit http://www.itt.com.